New Crow: Who is Dean Gore? 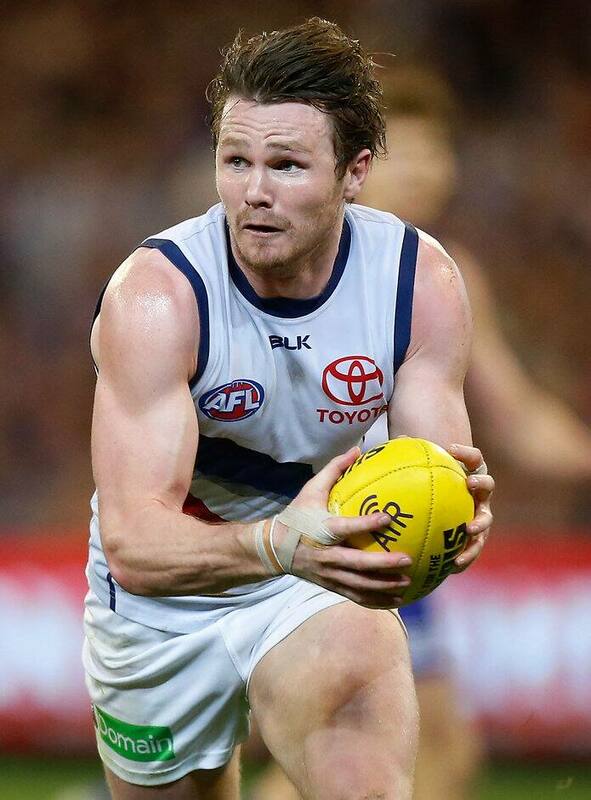 GEELONG has sealed the Patrick Dangerfield trade with Adelaide. The Cats have given up young midfielder Dean Gore as well as picks No.9 and No.28 to snare the superstar midfielder. The Cats gain Dangerfield and Adelaide's third-round draft pick, currently No.50. Gore was pick No.55 at the NAB AFL Draft but was on the verge of senior selection early in 2015 before he suffered a shoulder injury that forced him to miss seven weeks. He then returned strongly to be part of the selection mix late in the season averaging more than 20 touches a game at VFL level on at least three occasions. The 19-year-old Gore was dominant for South Australia in the 2014 NAB AFL National Championships and played 12 senior games for Sturt in the SANFL in that season. An inside attacking midfielder, the Cats considered him a strong prospect throughout the season and were buoyant about his prospects. Dangerfield told Adelaide he wanted to exercise his rights as a free agent and join Geelong at the end of the season. The Cats did not lodge an offer for Dangerfield but rather went straight to a trade and it was always expected they would secure a deal early in the trade period. Crows head of football David Noble said the trade provided more compensation than would have been available under free agency rules, which he said left affected clubs with little room to move. "All along we were intent on doing what was in the best interests of our club, and we have been able to deliver the best possible outcome," Noble said. "Securing picks nine and 28 allows us to add some more quality talent to our playing list, while Dean is a young man who has the makings of a long-term player. "I would also like to acknowledge Geelong for the professional manner in which these negotiations were handled." @Adelaide_FC you have yourself a great kid in @dgore10, an outstanding true professional. Gore's manager, Marty Pask, told Trade Radio, "It's good that a deal such as this got done. "We've seen in the past when there's a player of someone like Dangerfield's standing in the game, they [negotiations] can tend to drag on a little bit. "In this instance, both Adelaide and Geelong have done a very good job to make sure that didn't take place and both parties have come out of it pretty reasonably. "Adelaide has always had an interest in Dean … they were very disappointed that they didn't acquire him through the national draft. "They've always maintained that interest in him (and) they've always liked him, so there was an opportunity to certainly ask the question, whether he wanted to come home. "In the end, it was a decision that he wanted to be surrounded by his family and friends back home in Adelaide."